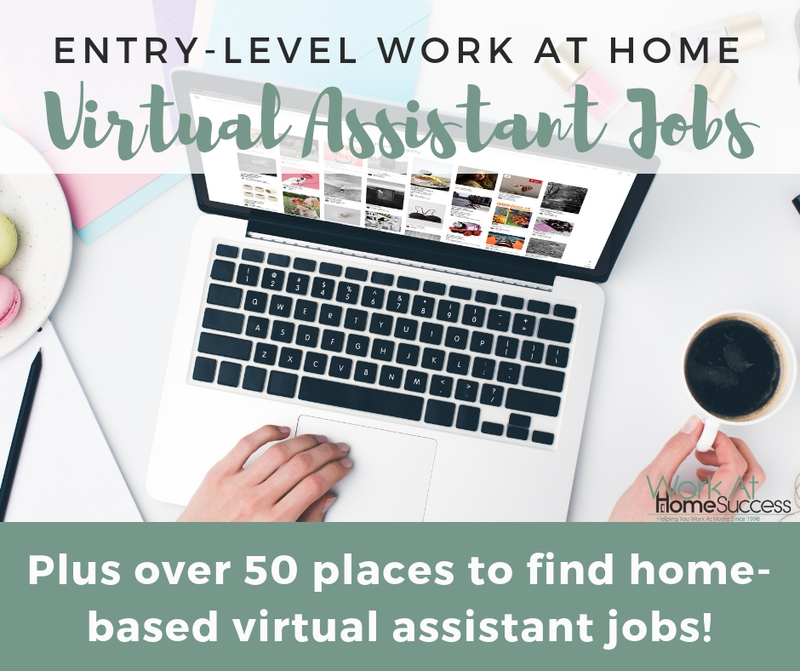 Are you interested in finding typing, data entry and other virtual assistant jobs from home, but are worried the field is crowded with more experienced VAs? While it’s true there are a lot of virtual support workers out there, the need for help continues to grow, giving you opportunities to break into the field. The other good news is that you don’t necessarily need to have experience as a virtual assistant, office support staff, or administrative assistant to get a virtual assistant job from home. That doesn’t mean you won’t be expected to have certain skills, but you don’t necessarily have to have those skills in a virtual support capacity. 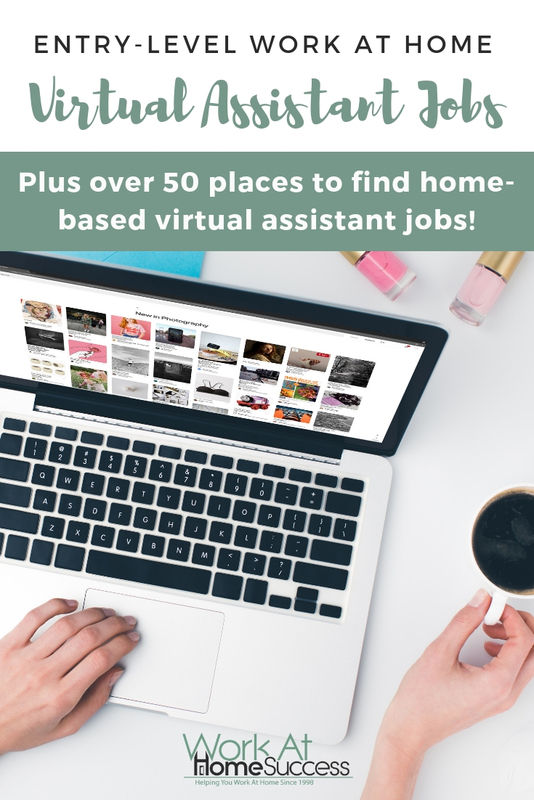 Below you’ll find information on what virtual assistants do, plus a list of over 50 places you can find virtual assistant jobs from home, including transcription and data entry. In fact, here you can get a FREE list of over 150 things you can do as a virtual assistant. Note, that some virtual assistants specialize in an industry, such as a real estate virtual assistant, while others might specialize in a specific skill, such as social media or Pinterest virtual assistant. The highest paid virtual assistants have their own businesses. The next highest paid virtual assistants have specialized knowledge or experience. For example, a real estate assistant that has a license is paid more than a general VA. Or a VA with good tech skills is often paid more than a VA that does only clerical work. As a beginning VA, you can expect to be paid anywhere from $8 to $50 per hour depending on the skills required and the industry you work in. Most of these companies hire virtual assistants that have little to no experience as a VA. Remember though, you may still be required to have skills and experience in the tasks they want you to perform. The list includes companies that hire general virtual support, and below that are companies that hire for specific tasks such as transcription or data entry. Please note that these companies may or may not be hiring at this time. Neal R. Gross & Co. These jobs are mostly small tasks that can help you gain the skills you need to lead to a better paying VA job. Look for more work-at-home virtual support jobs at FlexJobs. FlexJobs is a work-at-home job database where you can find hundreds of jobs, get background information on the companies, get tips on how to submit the best resume and more. Want to make $30-$50 an hour as a virtual assistant in the next 30 Days? Working as a virtual assistant with a company is all fine and good, but if you’re looking for greater pay, ability to pick and choose the type of work you do, and flexibility, then starting your own virtual assistant business is a better option. You’ll be able to set your own prices and decide what services you’ll offer and to whom.